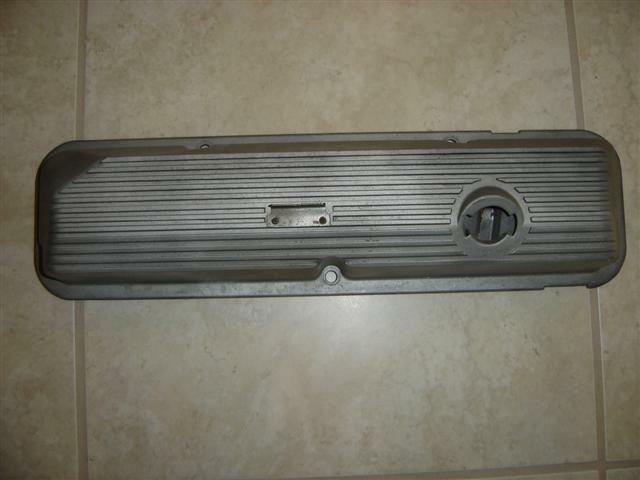 Ford rocker arm (valve) covers are identified using basic part number 6582. 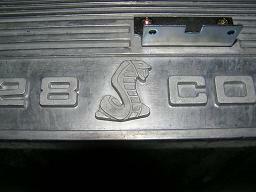 Ford used three basic valve covers on Cobra Jet Mustangs during the course of production. The April 1969 Master Parts Catalog was used to determine the original 1968 and 1969 service parts numbers described below. OK, I realize that the tables above can be a little confusing. I don't really know what distinguishes the different service parts, or why the 1969 MPC describes different right- and left-hand covers for 1968. I do know that a 1974 reference lists the C7OZ-6582-B cover replacing the C7OZ-6582-C cover, and the C9ZZ-6582-B cover replacing the C9ZZ-6582-A cover. That's consistent with the differences between the 1969 and 1975 MPCs. 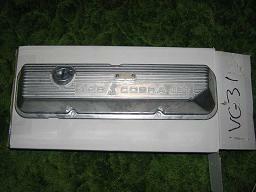 Also, I've heard reports of the aluminum covers being used on cars built before February 14, 1969. The chrome covers were also available for 390s, so they shouldn't be too hard to find. Expect to invest in rechroming if you find a good used set. 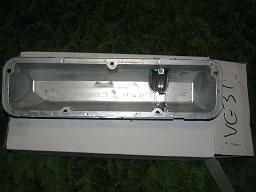 The same steel cover was also used wearing blue paint for other applications. The "ret." (retainer) described in the tables above is the C7AZ-6A892-A crankcase ventilation rubber grommet. 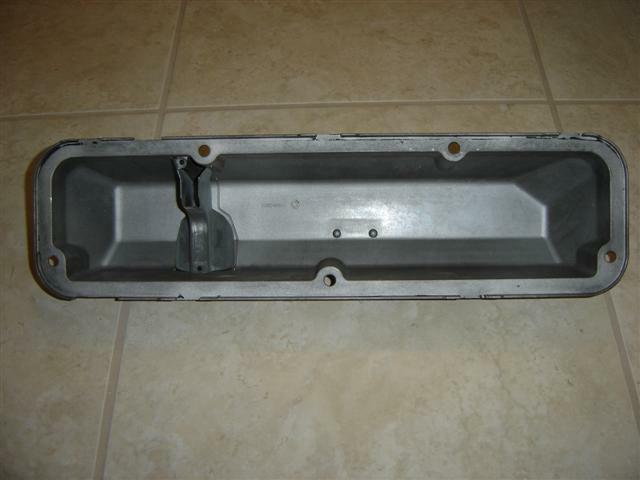 This was used to secure part of the Positive Crankcase Ventilation (PCV) system to the top of the valve cover. 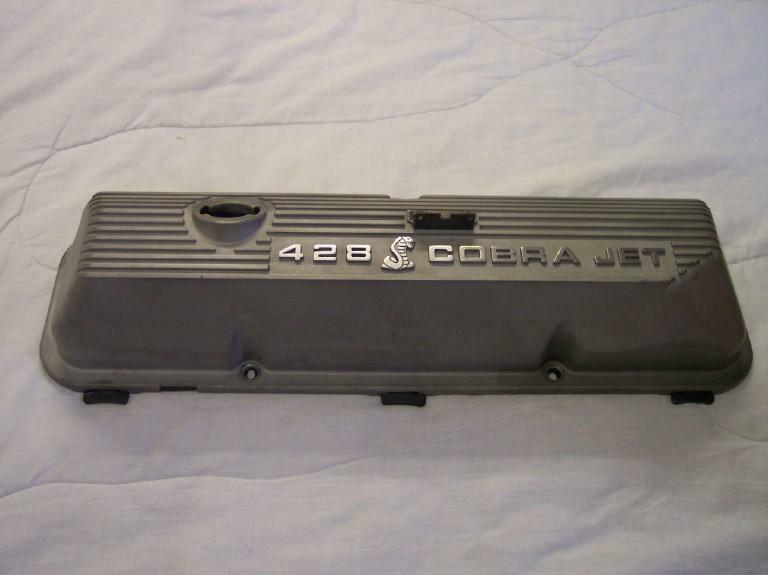 Note that there is no service part number that uniquely identifies the 428 Cobra Jet "Snake" valve covers. 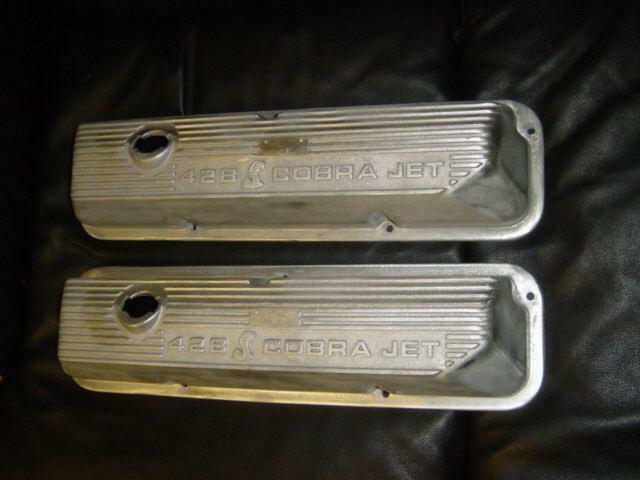 The same part numbers shown above are referenced for both 428 Cobra Jet and 428 Super Cobra Jet applications. The "Snake" covers just aren't mentioned in the MPCs. 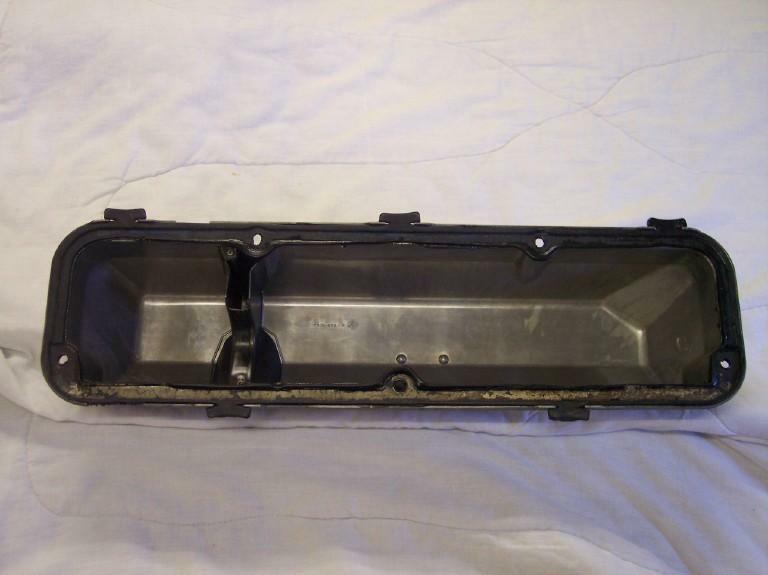 It may well be that they were mixed with the plain finned covers from Ford's assembly perspective, and you might receive either one when ordering them "over the counter". 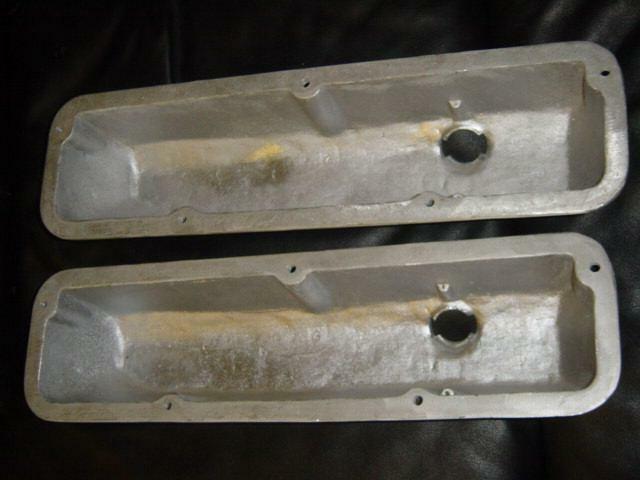 According to Ed Meyer, these covers were originally designed in 1968 by Shelby-American for use on 1969 Shelby Mustangs to continue their tradition of using unique valve covers. 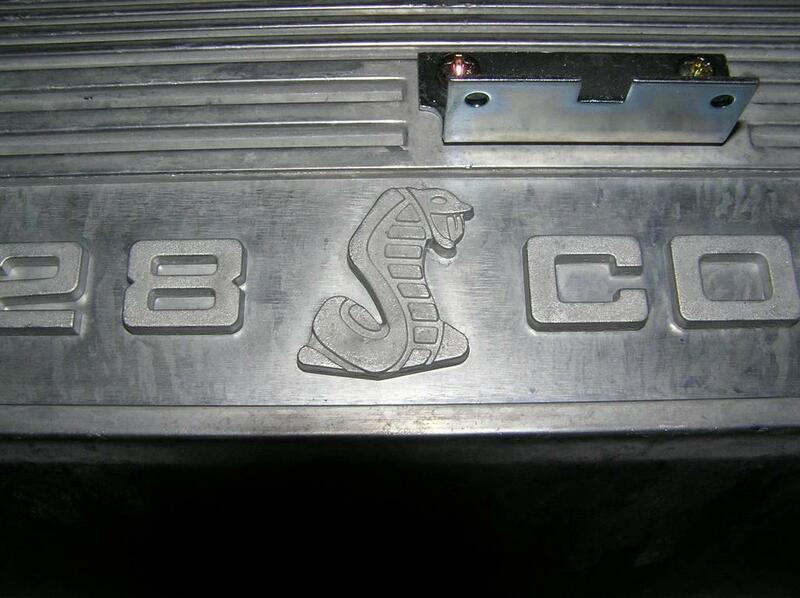 When Ford took over production of Shelby Mustangs these valve covers found their way onto other vehicles. 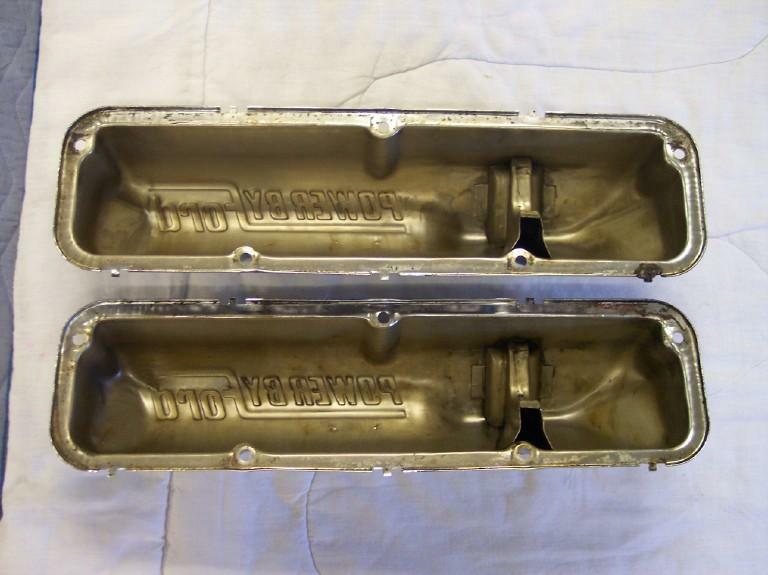 Except as noted above, these valve covers are tend to be interchangeable from side to side. Original aluminum covers include a small bracket that's screwed on to the top of the cover to mount a small plastic spark plug wire loom. There's also a baffle under the PCV/oil fill hole to keep oil from splashing through. 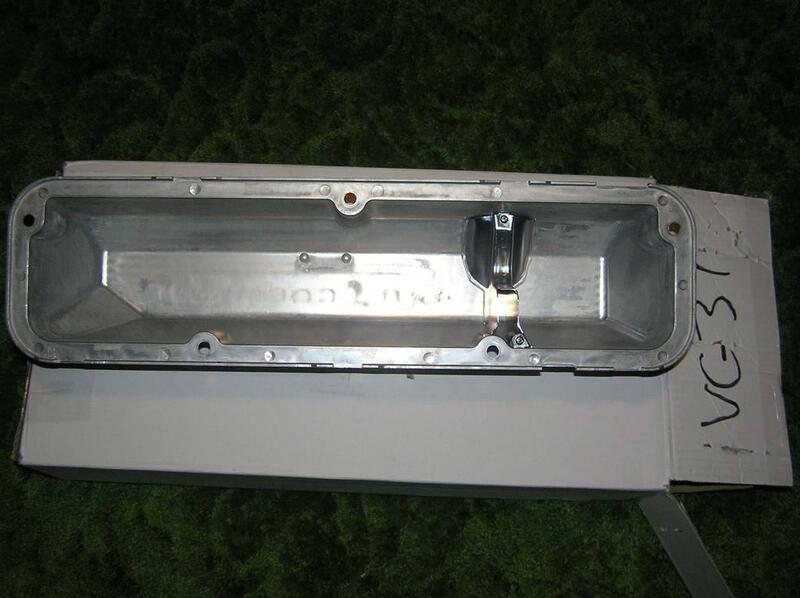 The aluminum covers typically include a cast engineering number on the underside. I don't know why the engineering number on the covers doesn't match the engineering numbers listed in my references. I do know that this typically happens when the difference is due to numbers being used to describe subassemblies. 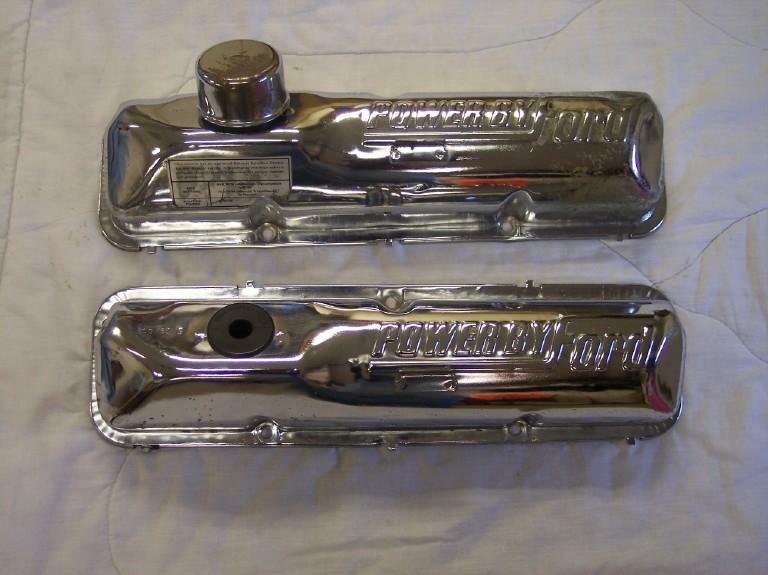 The chrome valve covers typically have a stamped date code to one side of the PCV or oil fill opening starting late in the 1968 model year or early in the 1969 model year. 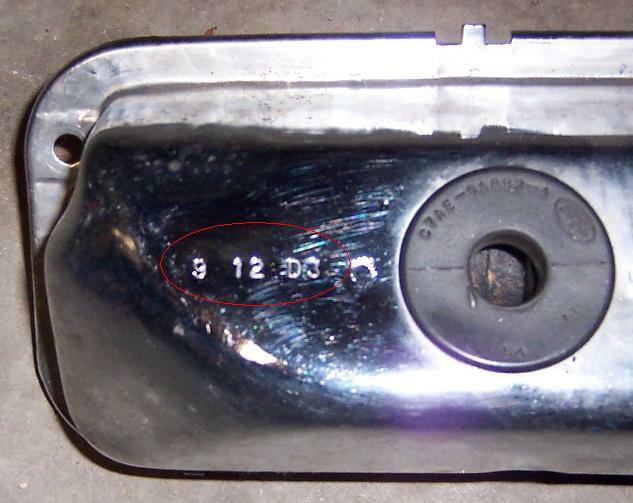 The date code is represented by a numeric month, a numeric date, and a stamping plant/shift indicator. 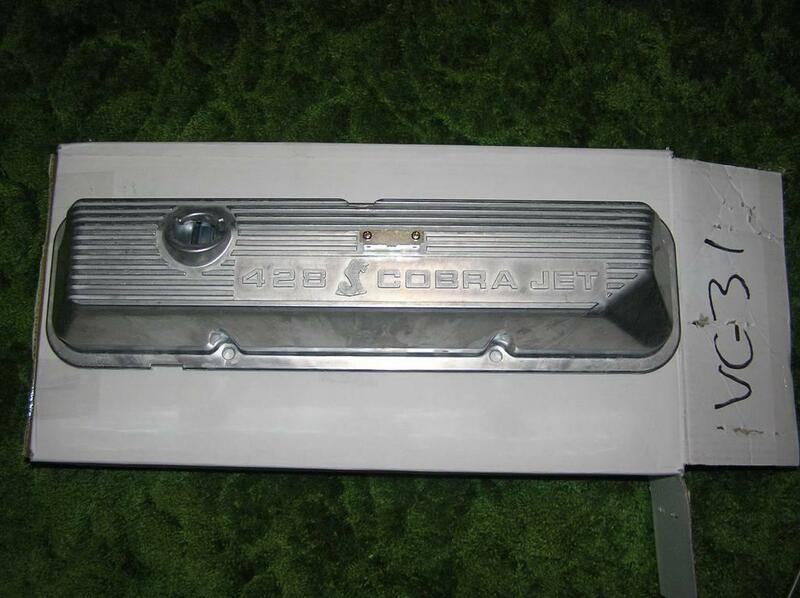 There have been at least two attempts to reproduce the "Snake" valve covers. The first attempt that I know of produced what are commonly called the "Mexican" covers, apparently because they were cast in Mexico. These covers don't look too bad at a distance, but up close there are several differences that become obvious. Note that the casting itself is pretty rough compared to the originals shown above. The mounting flange is thicker, and there's no baffle on the underside. Note, too, that's there's no bracket for the spark plug wire loom. A more recent reproduction was recently brought to market by Tony Branda. The quality of these covers is much better, though I've heard several people claim that these new covers need to be polished to produce an even finish. I have, however, also heard that an uneven finish is commonly found on NOS covers, so the finish on the Branda covers is actually quite accurate. Note that the bracket for the spark plug wire loom is attached with screws. Thanks to Ed Meyer, Myron Baysinger, John Thompson, Larry Schwartz, Chris Teeling, and Phil Parcells for helping with the pictures and information used here.